Brandywine Homes’ president talks about competing with big builders in his Southern California market. A small infill builder is taking the Southern California market by storm with its outreach to young home buyers. Thanks to interest from this demographic, officials at Brandywine Homes have seen an increase in demand for the company’s infill projects in Orange, San Diego, and Los Angeles counties. 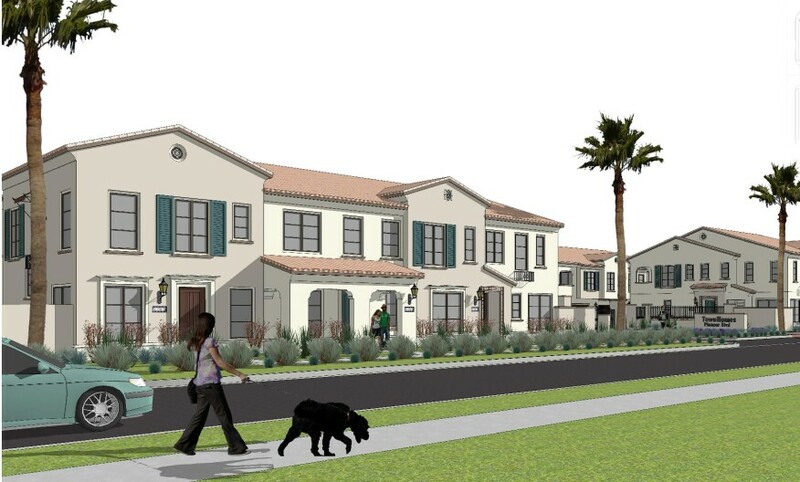 Brandywine Homes’ Sunstone community in Norwalk, Calif., will include 31 townhomes ranging in size from 1,115 to 1,501 square feet. Brandywine currently has seven communities under construction totaling 220 homes and plans to double deliveries within the next year. Here, BUILDER talks with Whitehead about the company’s growth. What is your company’s five-year plan? Brandywine Homes is focused on continuing the expansion of our Southern California geographical base into the greater Los Angeles and north San Diego markets, while maintaining and solidifying our core Orange County presence. We will continue to emphasize quality locations, rather than rely on quantity of projects. Schools, transportation systems, and proximity to shopping and professional services in safe neighborhoods are the key ingredients to crafting successful new residential living opportunities. Our growth projections include doubling our annual home deliveries to between 120 -150 homes within the next year and continuing a gradual increase from there to a sustainable 200-250 homes each following year, which translates into building approximately eight projects per year. Why do you target infill development? Infill has been Brandywine’s focus and specialty since opening our doors in 1994. The high barriers to entry keep pent-up demand in these locations. Our primary goal is to take existing sites that have outlived their usefulness, such as abandoned churches, rundown hotels, or failed retail projects— and convert them into thriving residential communities. How do you create a new community on a formerly underutilized site? We analyze and then test our estimations on demographic shifts and trends occurring in market and submarket areas. Sometimes we dig down even deeper by analyzing street-by-street comparisons. We then look at different density options to better determine square footage, heights, setbacks, open space, parking and other details. When dealing with a more urban location on a major street, we typically build higher density product with smaller setbacks to give the project an urban feel. In suburban locations, we will use larger setbacks and lower density to create a neighborhood that ties into the surrounding community. What are the challenges of successful infill building? Crafting meaningful living experiences for our buyers and melding these changes with the desires of existing neighbors to keep things the way they have been for a long time is challenging. Brandywine’s goal has always been to create a plan that is supported by neighbors and city officials in order to offer homeowners a safe, clean, and attractive place to live and raise a family, enjoy a rewarding lifestyle, and comfortably retire. The company’s Seabright Townhomes in Costa Mesa, Calif.
What does it mean to be a little-big developer, as you call the company? Brandywine runs a very lean operation. Any one person on our team will wear a number of different hats during the course of a normal work day. Regular staff meetings are critical to coordinate activities and relay information. This teamwork is supplemented by the constant daily interaction within and between different departments. An important by-product of this approach is the ability to crosstrain our staff so they can help in other departments, if needed. The resulting synergy has helped us to multiply our output without placing too much pressure on our executive team and staff. How do you compete with the bigger national builders in your market? We are definitely more nimble and our hands-on approach allows us access to critical information almost immediately in terms of buyer reactions, conditions of approval by local agencies, neighborhood responses to our proposed projects, and many other considerations. Also, our investor partners are always a phone call away if we need to consult with them on a specific project, product changes, or adjustments in sales strategy. Big builders just cannot operate well in such an environment. We also feel like we know our markets better than the larger builders because we have been entrenched in these communities for years. And city officials and staff know Brandywine or our reputation for following through on our projects.